"Are you still watching?" Of course you are! 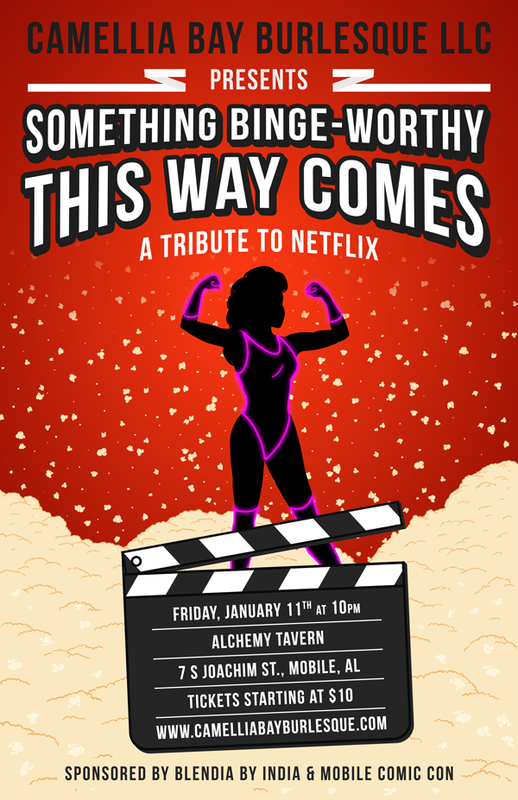 Join us for a marathon of some of your favorite shows and movies available on netflix with a burlesque twist! You don't wanna miss our first show of 2019! Special Guest Expecta Patrone & Lefty Lucy (New Orleans) We are Mobile's Premier Burlesque & Variety Show! Sponsored by Blendia By India & Mobile Comic Con.